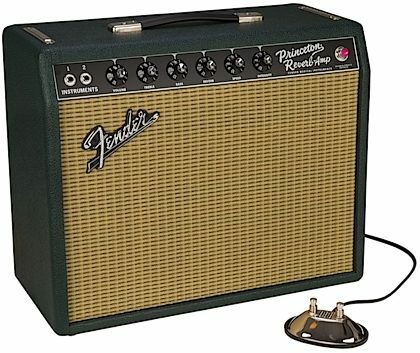 The Fender Limited Edition 65 British Green Princeton Reverb Guitar Combo Amplifier offers today's players all of the great tone and dynamics of the original... in an affordable, roadworthy reissue. 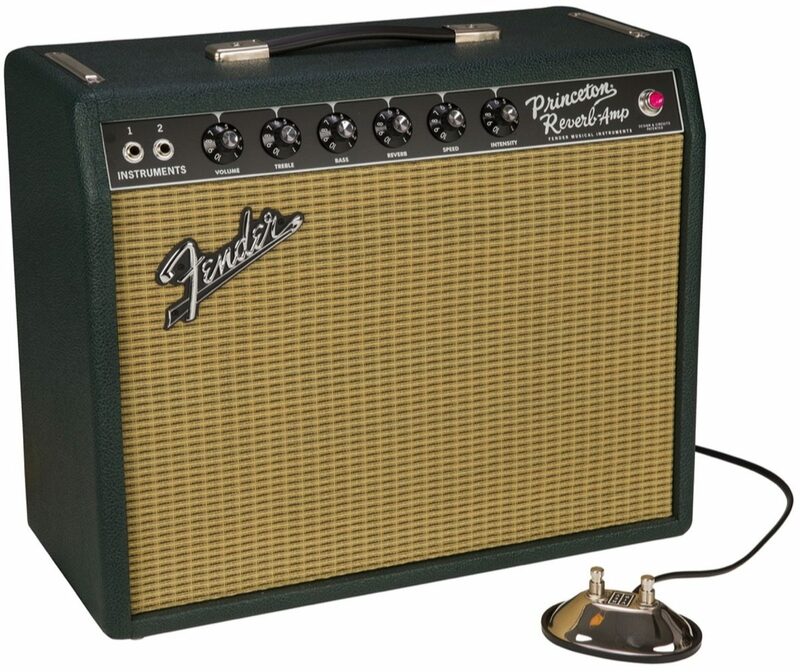 The legendary Fender Princeton Reverb Amp of the 1960s was small, light, and moderately powered. Though intended for practice situations, the Princeton was capable of big tube tone, and Fender's world class Reverb and Vibrato effects were the icing on the cake. From its inception 'til today, countless guitarists have chosen it as their go-to studio amp, crafting signature sounds with a stomp box or two feeding a simple miked-up Princeton. Today, original Princeton Reverb amps are prized collectibles, and becoming harder to find. The robust 15-Watt platform is a wise choice for creating tube tone in a small space, and even provides enough output for small gigs and rehearsals. 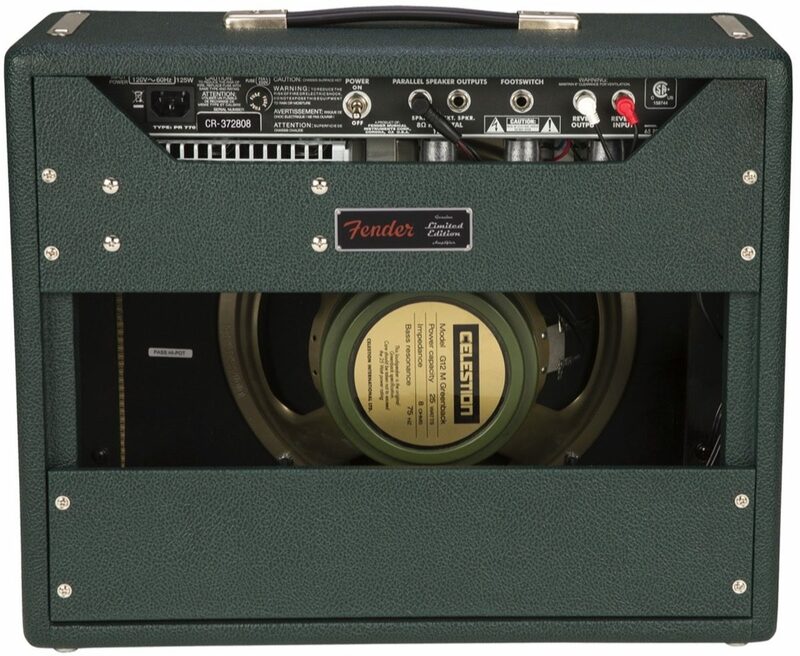 Unique features to this amp include: Emerald Green covering, Wheat grille cloth, and Celestion Greenback 12" speaker. Also includes Special Edition badge. - Shipping Weight: 38 lbs. Overall: This amp delivers in every way. The tone is classic. It has boutique looks and sound without the boutique price. I was always a Deluxe guy until I saw that this came with a 12-inch Celestion, which makes a huge difference. The clean tone is so sweet, and it doesn’t start to really break up till 7 or 8. I’m pleasantly surprised by the amount of clean headroom and volume. I’m sure my neighbors are surprised as well, though I doubt pleasantly so. G&L Legacy, Gretsch, Les Paul, and all my pedals sound beautiful through this wonderful amp. I couldn’t be happier. Overall: LOVE THIS AMP!!! Bought this amp as a smaller alternative to my monster fender twin I was lugging around. I have been completely blown away by this amp and use it 90% of the time. It's GREEN, lightweight, loud, takes pedals well, has the classic fender cleans, and can hang with a band no problem. (In my experience even a loud corporate band!!) The 12 inch greenback G12M makes this thing great for any small/medium gig. It is a LOUD 15 watts. Starts to break up around 6/7 with my strat and tele. Nice warm overdrive beyond that. Get yourself one before they are all gone!